The Chino Boxing Club began in the late 1960's as a gang diversion and intervention program for local youth. The idea of creating a youth boxing club came from Louis Moreno, former Chino Police Sergeant and amateur boxer, Bobby Sedillo. Through the generous support of many local community members such as: Frank and Reva Salter, Tony Linza, Roy Agee, and John Ingroa, the Chino Boxing Club was able to grow into a successful youth program. Thanks to the help of Reva Salter and the Chino Soroptimist Club, the Chino Youth Boxing Foundation was able to gain its articles of incorporation and non-profit status and is now supported by the City of Chino Community Services Neighborhood Actvity Center, where the gym is now located. 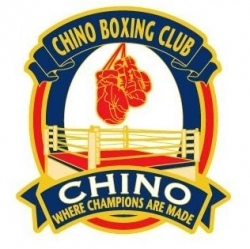 The Chino Boxing Club has had thousands of members over the years, both girls and boys, and has fostered many well known professional fighters. The goals of the program include: providing self-esteem, self-respect, character developement, discipline, and to teach a sense of pride. To date, the Chino Boxing Club continues to grow with success as the youth in the program develop their own family with staff, trainers, and fellow boxers. The Chino Boxing Club not only serves local youth, but is also involved in several community events, conducts fundraisers, and hosts three USA sanctioned boxing shows a year. A special Thank You to everyone who has dedicated their time and effort over the years to the success of this wonderful program!